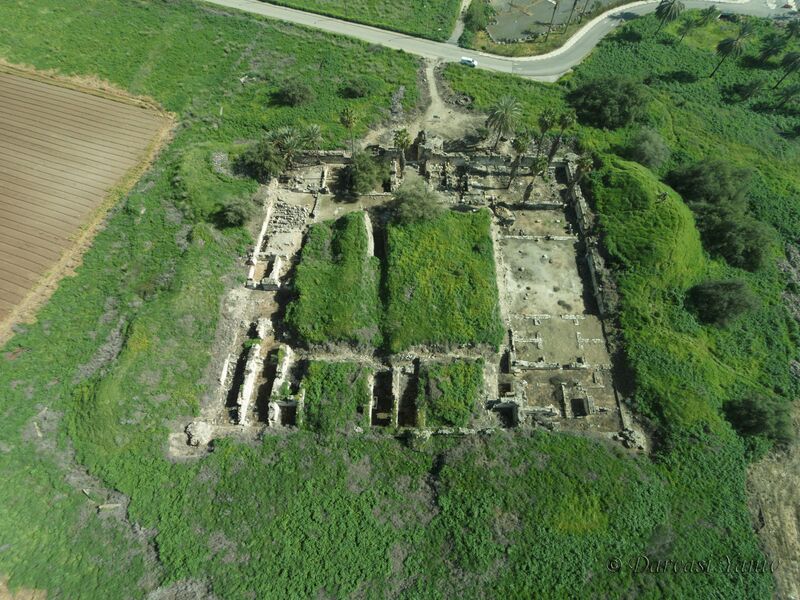 The Department of Ancient Studies at Johannes Gutenberg University Mainz (JGU) is to receive EUR 30,000 through the Cultural Preservation Program of the German Federal Foreign Office to help with the restoration of a caliph's palace on the shores of the Sea of Galilee. The palace complex covers a site of about 5,000 square meters and was uncovered from 1932 to 1939 by German archaeologists from the Catholic Görres Association and the Museum of Islamic Art in Berlin. It sits on land that today still belongs to the German Holy Land Association (DVHL) and is managed by the Israel Nature and Parks Authority. The palace was constructed from white limestone on a lower course of black basalt and includes one of the oldest mosques in the Holy Land. It was built by Caliph Walid I (705 to 715 AD) of the Umayyaden dynasty, which established the first caliphate in the Holy Land from 661 to 750 AD. A few years after construction started, a severe earthquake rocked the palace and caused a fissure right through the center of the mosque and the entire east wing of the building, and this probably put a stop to the work before the structure was fully completed. In the Middle Ages, a sugar cane oven was set up on the site. This brought considerable wealth for the crusaders who owned it but resulted in lasting damage to the environment thanks to the vast amounts of water and wood needed to operate it. Since being excavated in the 1930s, the ruins have been exposed and threatened by vegetation growth and weather effects. The restoration project sponsored by the German Federal Foreign Office highlights the importance of this year's anniversary of 50 years of diplomatic relations between Germany and Israel. 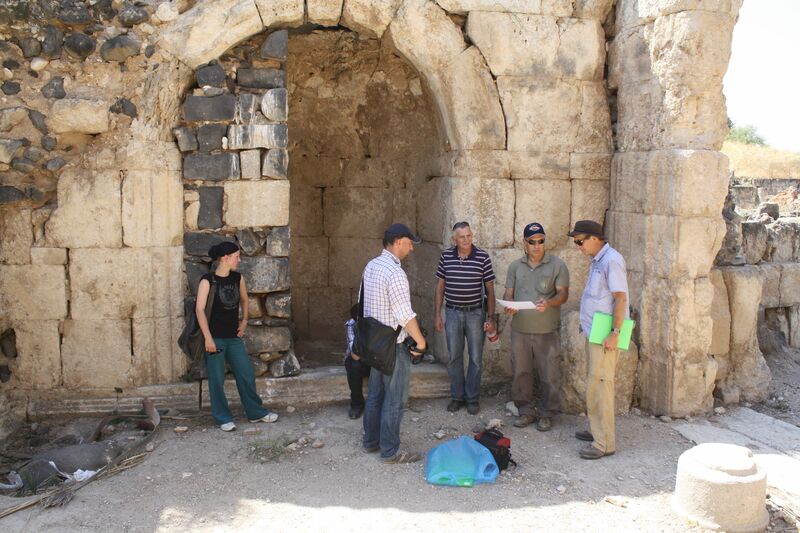 "This project has been initiated just in the nick of time – there is no more time to waste", emphasized archaeologist PD Dr. Hans-Peter Kuhnen, Chief Academic Director of the JGU Department of Ancient Studies and project manager, who has been involved in archaeological research at the Khirbat al-Minya site together with students from Mainz University since 2009. "Every year we have been witness to the gradual deterioration of the palace. By backing the project financially, Germany is assuming responsibility for an important archaeological site that would not have been excavated without the German initiative in the 1930s. At the same time, we are supporting the work of the Israel Nature and Parks Authority, our students have the chance to gather practical experience in archaeological conservation, and we are also setting an example within the archaeological community for a dialog with Islam," added Kuhnen who, together with Franziska Bloch of the German Archaeological Institute (DAI), authored a guide book to the palace in 2014. Since 1981, Germany has been supporting the preservation of cultural heritage across the globe as part of the Cultural Preservation Program of its Federal Foreign Office. The aim has been to foster an independent national awareness in the partner countries and a collaborative approach to dealing with the world's cultural treasures. The Cultural Preservation Program is also an effective instrument of Germany's international cultural relations and educational policy. This strategy of cultural conservation as a means of promoting stability in crisis states and contributing to crisis prevention has become ever more important in recent years.